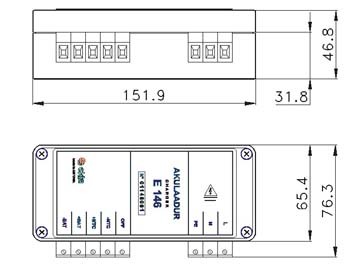 The purpose of the charger E146 is charging the batteries of the Diesel Generator Station E179.1 but it can be used also in other systems to charge lead batteries. The charging current is automatically controlled by taking into account the type and charge rate of the battery and, the ambient temperature. The design of the charger is hermetic and, it can be used for long term functioning in field conditions.